No I haven't come into money, it's the name of the nail polish I am wearing at the moment. But first, do you like my roses? SJ bought them for me two weeks ago from the market. These three were still looking alright but the rest got pretty sad. 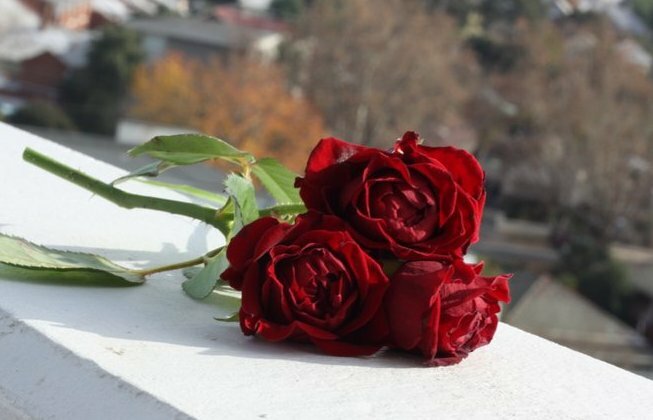 So I ripped off the petals and threw them over the balcony. 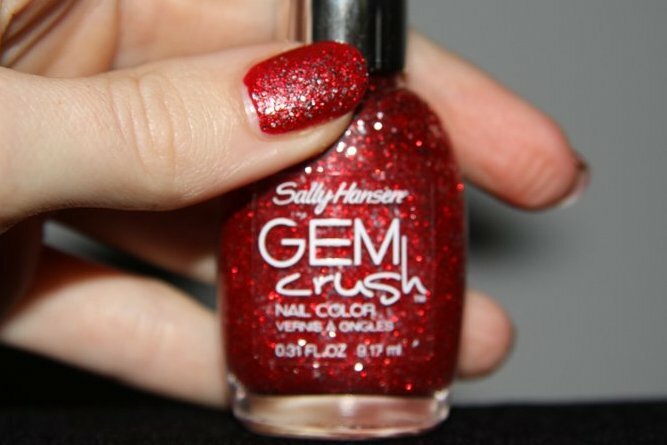 This is the nail polish I am wearing at the moment, Sally Hansen GEM Crush in Cha-Ching!. 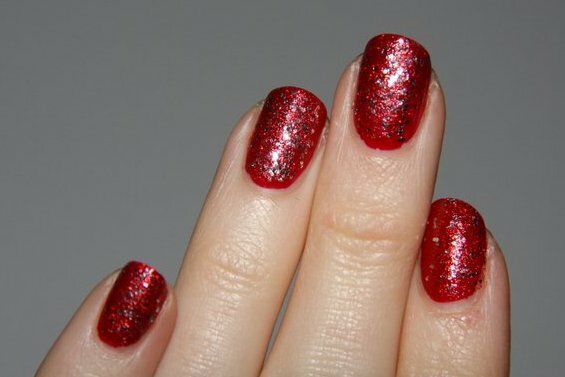 It's a great red micro glitter with bigger silver particles through it. It reminds me simultaneously of both Red Riding Hood and Dorothy's slippers. So obviously, I'm loving it. My only criticism would be that there might be too much of the silver glitter through it, but that's not showing up much in the photos. 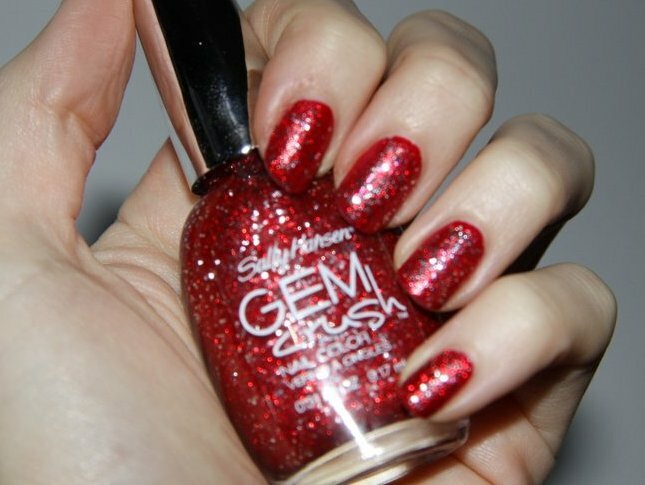 This is two coats of the glitter over a single coat of a very similar red that I was already wearing. Also, please ignore my cuticles and wrinkles etc. macro photography is not kind. Here's the bottle with the two colours (Big Money and Lady Luck) that I have included in my giveaway. For some reason Big Money has a different shaped lid to the other two. No idea which is newer, they were all bought from Priceline at the same time! I love the nail polish, glitter is so fun! The nail polish is very fun and I can imagine myself doing the same thing with the petals and not cleaning them up. I don't think rose petals is littering, it's a nice thing to do. Love the rose petals :) And the nail polish. I might have to head down to Priceline to check them out. The gold one looks similar to a 'butter' one I have been lusting over for a while! 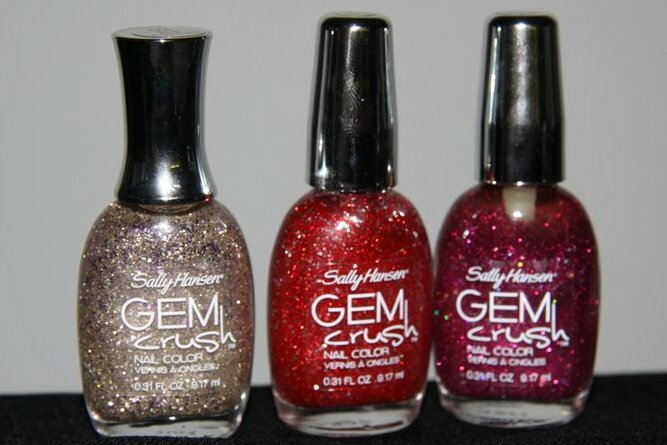 Gem crush looked amazing when I saw it in My Chemist. They had sneakily put it at the cashier! Loving the nails:) you sure do like your reds! Love the roses and petals. Defs not littering. You're sharing the love with your neighbours.